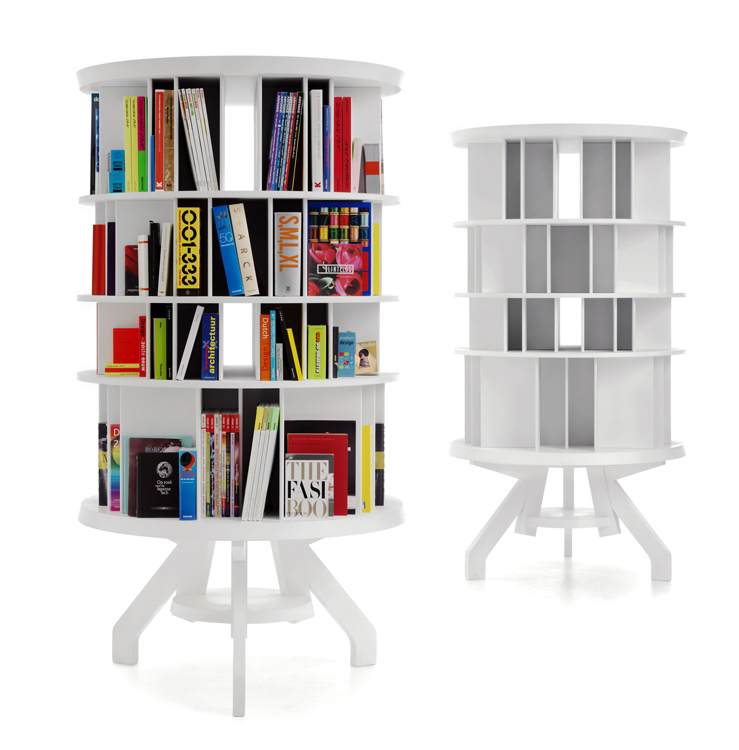 Round, spinning bookcase available in nine lacquer colors. Shown in white. 39.5" diameter x 75" H.